Vigo is the capital of the camellias. The symbiosis between Vigo and the camellias is evident in many areas of the lives of its citizens, although in many cases it goes unnoticed. 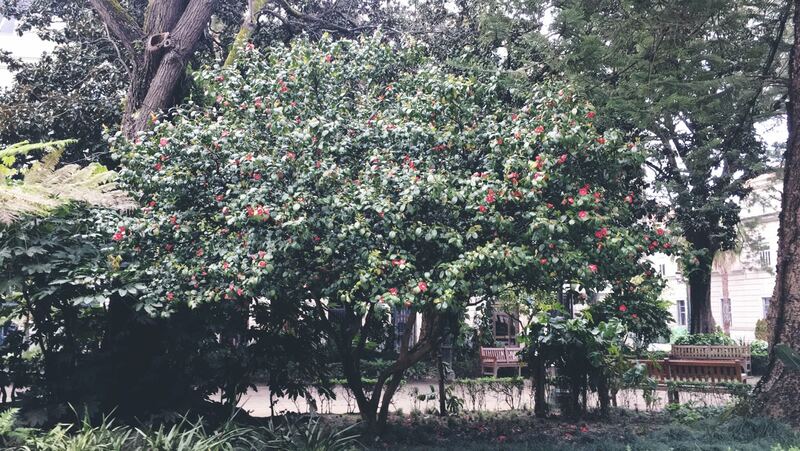 Vigo’s relationship with camellias began to take shape more than 150 years ago, specifically in 1860, with the arrival of the oldest Camellia japonica in the city, known as “Methuselah”. From this time the camellias are part of the olívica city that, in the absence of olive trees, dresses its streets and gardens with camellias. The Methuselah is the mother of the Camellias Vigo and one of the oldest in Galicia. This magnificent specimen is located in the Quiñones de León Palace, located in the Castrelos park and which currently houses one of the best Galician art galleries. In the floristically speaking, the Methuselah is not alone, but surrounded by other camellias of great bearing and of immense historical value, which is why this garden is within the Camellia Route. This Route of the Camellia goes through the main Galician gardens where the camellia is the most representative element, which gives beauty, color and a characteristic and characteristic style to these gardens. This Park also includes another Vigo park, the O Castro Park, from whose fort you can see one of the best views of the Vigo estuary. It is no coincidence that of the 14 gardens included in the Ruta de la Camelia dos are in Vigo, and that Vigo is the only town with two gardens in this list. In all green areas of Vigo there are examples of camellias, camellias japonicas, sasanquas, reticulatas and so on up to 20 different varieties. Even a variety of Camellia japonica has its own name: City of Vigo. It is from all the known world that the camellias find in the Rias Bajas an ideal place for their development. Álvaro Cunqueiro said years ago (1965) “And how good they are here [the camellias] in a world of soft nuances and undulating forms, in a human climate, where they alone, for a few months, are the only flower!”; and nothing could be further from reality, because clearly in Vigo the camellias are at home. Vigo is the only Galician city that gives name to a great avenue under the name of this plant, the Avenue of the Camelias, and that of course is decorated by this magnificent plant that gives color and illuminates the streets of Vigo during the winter months. But it is not the only one, many of the great avenues and streets are decorated by this magnificent flower, symbol of beauty and tradition. Among them you can name García Barbón, República Argentina, Marqués de Valladares … And it is that in Vigo you could take a tour of the main streets always having a camellia by your side, a paradise of natural beauty hardly reachable in other parts of the planet. In Vigo camellia is breathed. And, as it could not be otherwise, the vigueses also show their appreciation for that plant by naming hundreds of different businesses; as an example in Vigo there are shopping centers, nursery schools, clinics, consultancies, florists and even confectioneries with the name of this plant. But the camellia is much more than a pretty flower plant. From this plant, and more specifically from its shoots, one of the most popular drinks worldwide, tea, is extracted. White tea, green tea, black or red tea depending on the fermentation of the leaves and that satisfy the tastes of thousands of people worldwide. But tea is not the only thing extracted from this wonderful plant. 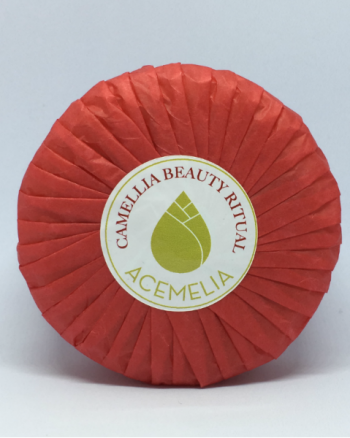 Another surprising product is that extracted from the seeds of camellia, camellia oil. 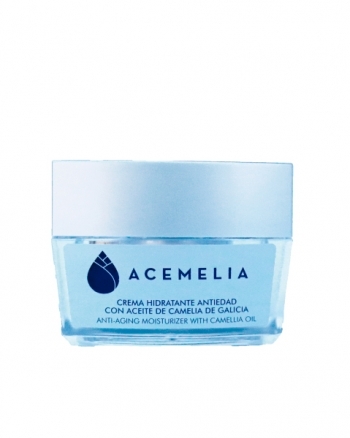 Camellia oil is a dry oil that hydrates the skin of the face, body and hair from the deepest layers leaving it dry, hydrated and bright for hours. This oil is part of a ritual of beauty used by the Japanese Geishas, ​​the SAHO ritual, and which is having a great reception in Western countries. A natural oil classified as one of the best cosmetic oils and it is no coincidence that the only company that makes it in Europe has chosen Vigo to install itself. All this makes Vigo a very special place for camellias that we hope will continue to colonize the city at all levels, making it unique, to achieve a society in harmony with nature and more specifically with the camellia. 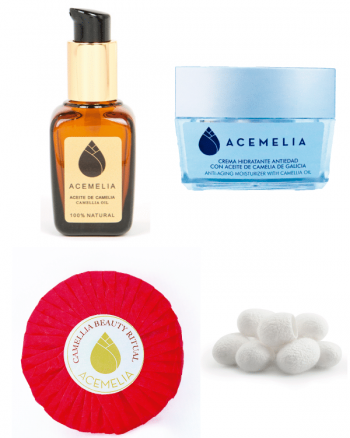 Camellia Oil – Try It!